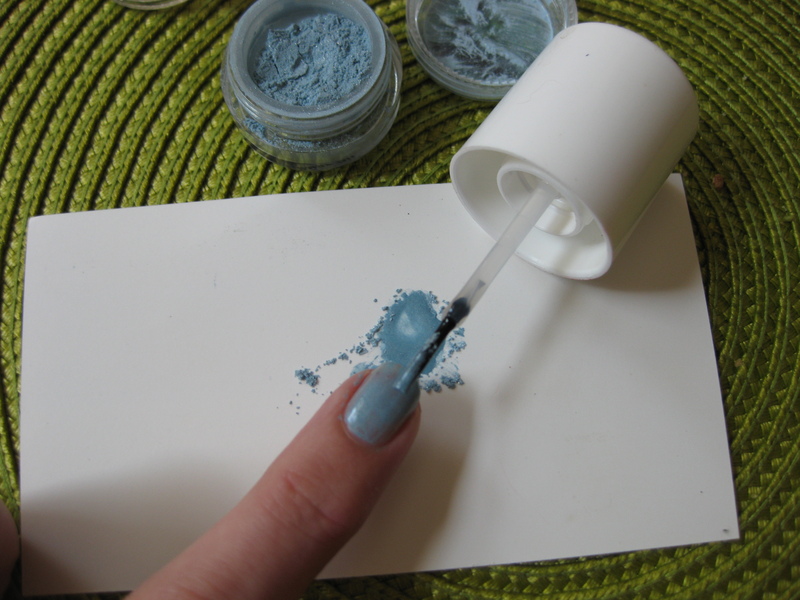 Did you know that you can use your Smink eyeshadows to custom make your own nail polish? It’s super easy! I’ll show you how! 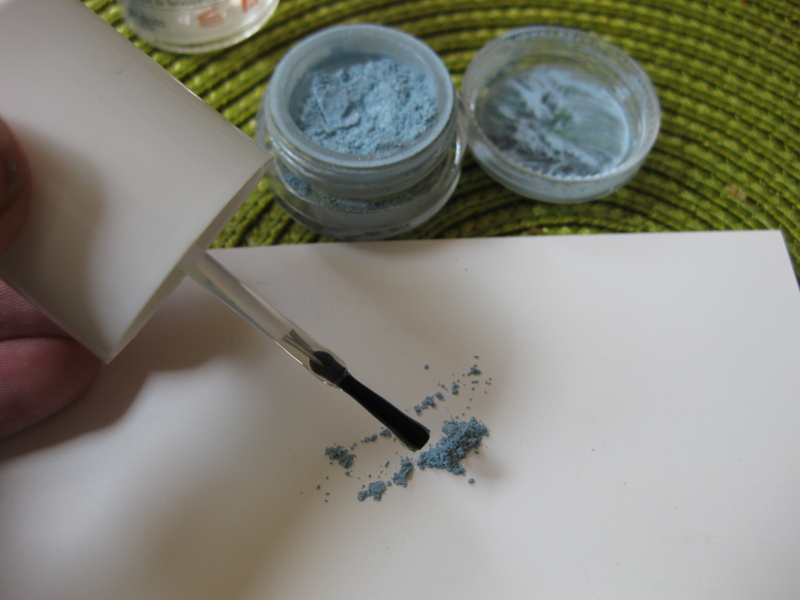 Pick out the eyeshadow you want to try, a piece of paper to work on and clear nail polish. 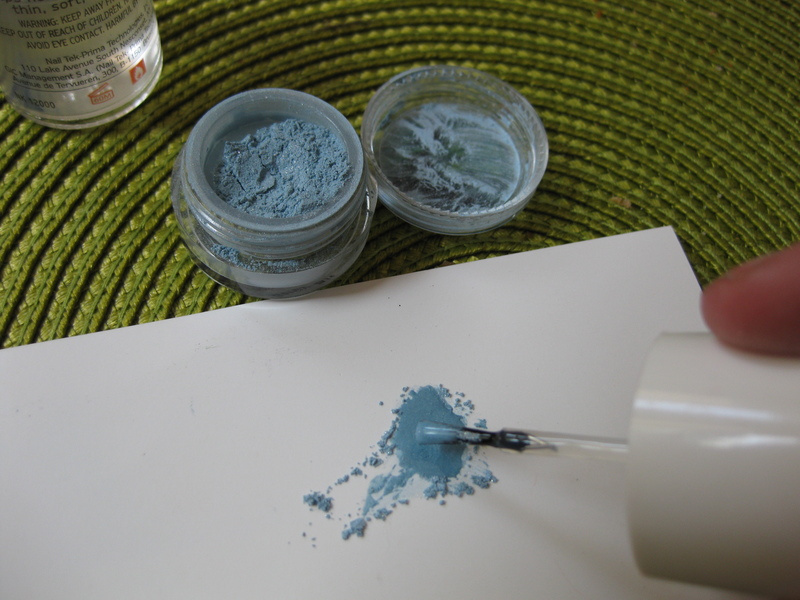 Dab a little eyeshadow onto the paper. 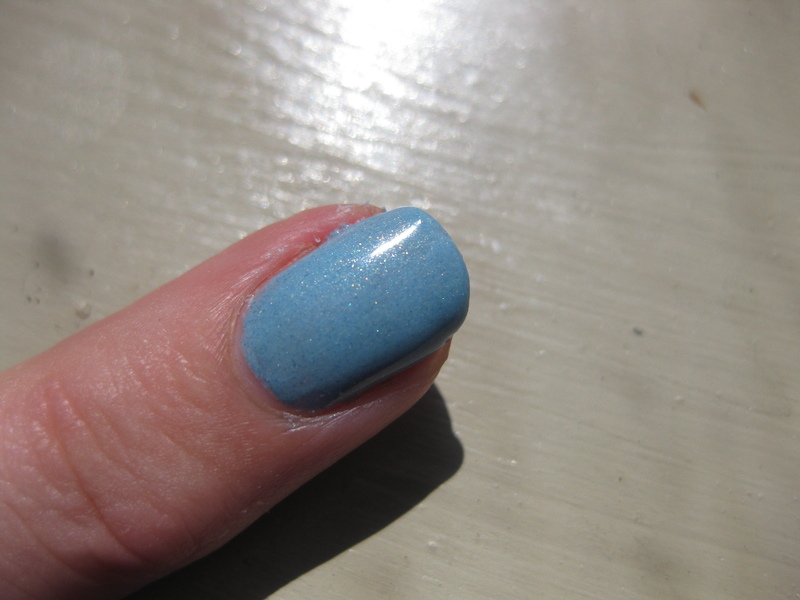 Now pull out the brush out of the bottle without wiping it, so you have a drop of nail polish on the tip of the brush. 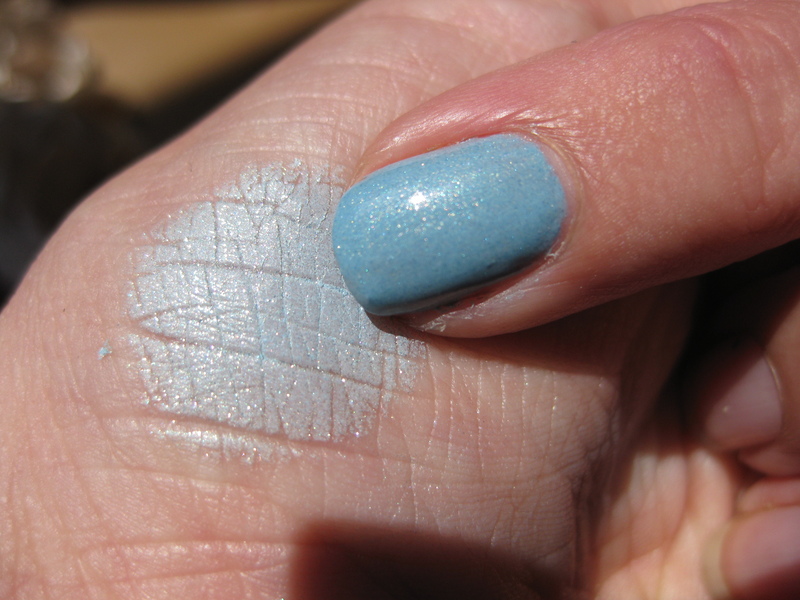 Smush the nail polish into the eyeshadow, and blend them together. Apply on your nail. 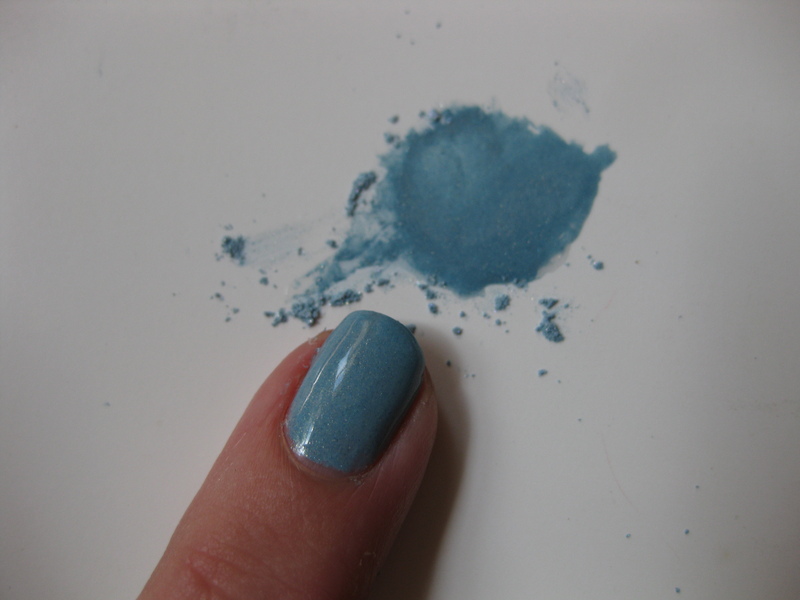 Wipe the brush on a paper towel, re-dip it and blend a little more nail polish into your shadow/polish mixture. Apply a second coat. This is what it looks like with a second coat. Bergy Bit, sparkling in the sun shine! As you can see, the colour turns a little darker in nail polish. Bergy Bit, I love you. Have fun with it! Post some pics on our Facebook page if you try it! We’d LOVE to see what you come up with! So now we have taken pictures of all our lip glazes applied on lips of different staff members, and I am slowly but surely giving each and every lip glaze its own page with lots of images of both the pot and the glaze applied. I hope this will help you choose your favorite colour(s)! You can find our lip glazes on this page, and please check back every now and then since I am constantly adding more lip glazes! 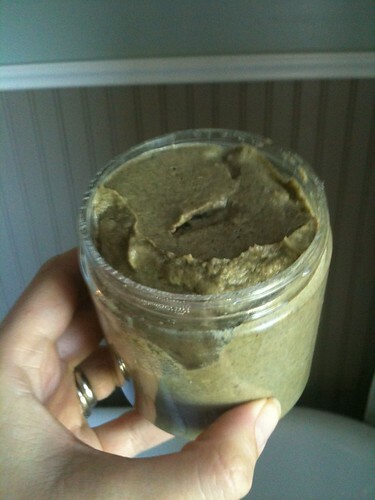 Neem Powder – is highly anti-bacterial and used for skin conditions such as eczema and psoriassis and as a scalp treatment. Amla Oil – The amla fruit, also known as the Indian Gooseberry, comes from a small tree that grows throughout India. The tree is worshipped as Mother Nature due to its nourishing fruit. The fruit is one of the highest natural sources of vitamin C. The amla fruit yields an extract that has been used for centuries in Ayurvedic medicine to treat the hair and scalp. Amla Oil is said to penetrate the scalp and strengthen hair at its root, to stop and reverse abnormal hair loss and to promote stronger, healthier hair growth. Rhassoul – is rich in minerals such as Silica, Magnesium, Iron, Calcium, Potassium and Sodium. It helps detoxify the skin while it exfoliates gently. Jojoba Beads – gentle round beads made of jojoba wax that will exfoliate your scalp and increase circulation. Patchouli essential oil – regulates oily skin and dandruff, treats eczema and psoriasis. Tea Tree essential oil – the strongest anti-fungal, anti-viral and anti-bacterial essential oil there is. Since dandruff is caused by a fungus, it is very effective in treating this condition. What’s the verdict? I LOVE it! It left me itch free for six (!) days. What a relief! I could smell the essential oils off my hair for days after, but that I can live with. I have finally discovered something that will help my poor little scalp, and I hope hope hope it will help you too! The product is still in the testing phase, we need to make sure our preservative system is enough (all the herbal goodies and the clay can make it tricky to preserve). But keep your eyes open, because it will come fairly soon (together with other hair/scalp type specific masks, matching the solid shampoos we have). This week I will show you a look made by Isabelle, our gorgeous Swedish blogging friend! Visit her blog here for lots of reviews, tips and tricks! Granite – a matte pale mauvy pink. Puffin – A matte smoky aubergine. Here is what she did: Apply Granite all over the eyelid and then smudge just a tiny bit into the crease and under the eye. Keep smudging so it just looks like a darker shadow of the lighter shade. I love this look, and it’s so flattering! It will be on my list of “must tries”. The winner last week is post number 3 (thanks to random.org), Joanne Martel! Congrats! 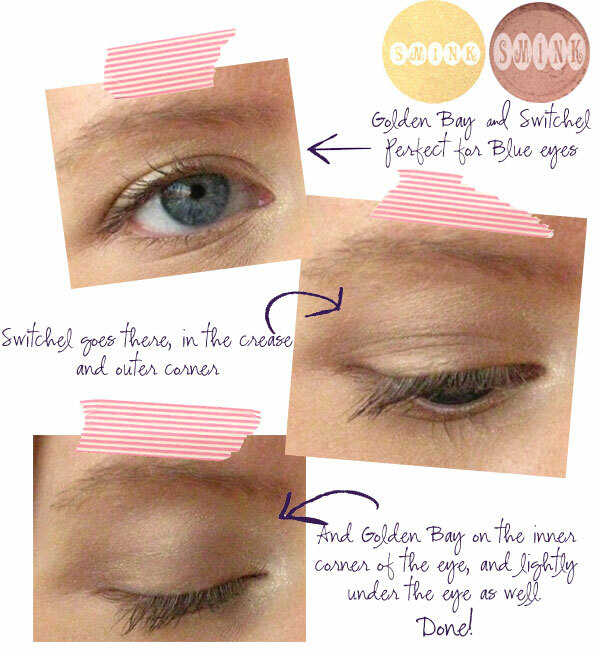 I will email you now to arrange for the Golden Bay & Switchel eyeshadows and a Blushing Bakeapple sample! Hurray! We have FINALLY gotten some warm weather here on the Avalon penninsula. Holy cow what a month June was! (Weather wise at least… ) It was raining almost every day, hardly a day with double digits (celsius) and we had 3 weeks of fog! Anyway, I digress… we have had a couple of nice days and with the warm weather I find that I need to tweak my skincare routin a little bit. I have mixed skin, normal on cheeks and a tendency to be oily in the t-zone, and when the weather gets warmer my skin gets oilier. If you have a similar problem, here are two things you can try! 1. Blend your Cleansing Milk with Cucumber & Chamomile powdered face mask, OR use only the mask as your cleanser. I apply it and leave it on while brushing my teeth, that’s enough. The clay gently draws out any impurities and extra oil, without stripping your skin, and the cucumber is nice and cool on your skin. 2. “Borrow” your man’s cleanser, Tval for Men Face Wash with peppermint and tea tree. The essential oils in this gentle foaming cleanser is so refreshing on a hot summer night. This cleanser is foaming, but it’s gentle enough to for all skin types. You can find the products mentioned in this post here, in one convenient location. Ooopsidooo! I was supposed to have picked a winner last Thursday, but I completely forgot among renovations and Canada Days. So sorry about that! I hopped on over to random.org and the winner this time is #6: Gracie. Congratulations! Now, time for a new Makeup Monday and this week we are doing a very natural and flattering look. 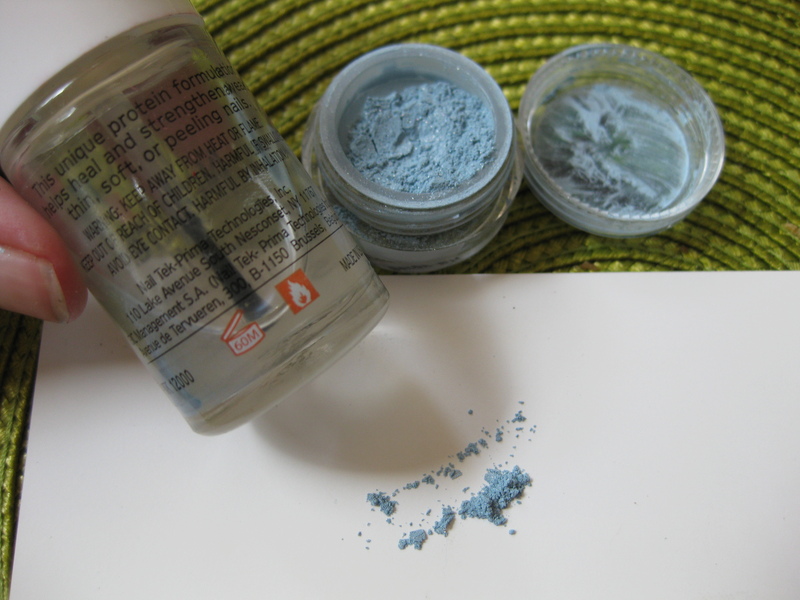 It is amazing on blue eyes, but I think it will look great on any colour eyes! The colours we used were Golden Bay, a shimmery pale gold and Switchel, a matte taupy brown. With this look we would recommend Blusing Bakeapple blush and Mermaids Kiss Lip Glaze!